Suspicion and fear surround the mysterious disappearance of a movie star's daughter. The race to claim the reward for finding Anna Louise Caley - dead or alive - spirals into a deadly voodoo trail in the French quarter of New Orleans. In her desperation to succeed in this, her first case as a private detective, ex-Lieutenant Lorraine Page is caught in a web of deceit and violence that threatens to drag her back into the murky world she has fought so hard to escape. Continuing the investigation means risking everything. But the million-dollar bonus is one hell of an incentive not to back off from a case that could kill her - or give her the future and the professional respect she craves. Lynda La Plante bestowed John Moores University with a creative writing scholarship in her hometown of Liverpool and is an honorary member of the British Film Institute. The British Academy of Film and Television Arts (BAFTA) has also awarded Lynda with the Dennis Potter Writers Award. 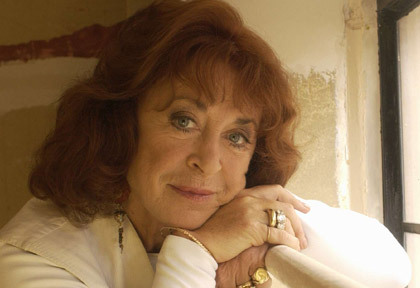 She was awarded a CBE in the 2008 Queen's Birthday Honours List (for services to Literature, Drama and to Charity), and was presented with the prestigious TV Spielfilm Award for her television adaptation of her novel Above Suspicion at the International Film and Television Festival Conference in Cologne. In 2009 Lynda was inducted into the Crime Thriller Awards Hall of Fame . Her novels have all been international bestsellers.